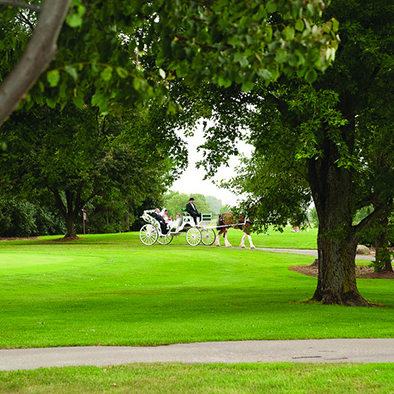 With its green, serene, pastoral setting, the Reception House at Raymond Memorial is an ideal place for not only wedding receptions, but the marriage ceremony itself! 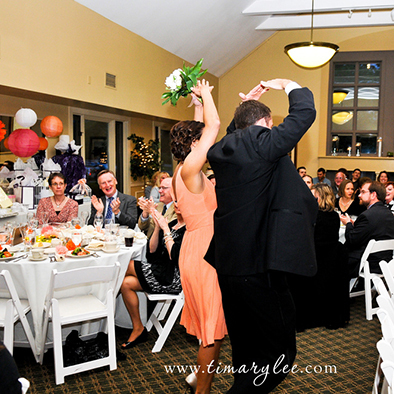 And while your guests will appreciate the convenience of having both events in one location, we’ll be working with you from start to finish – at no additional charge – to make sure that each part of your important day goes as smoothly and joyfully as possible, and to make sure that you can relax and enjoy yourself knowing that every detail is being taken care of. You can book your ceremony in our spacious event house, which has ten large windows overlooking the lush greenery of the golf course. Or, for smaller gatherings (120 guests or fewer) you can exchange vows in a patio ceremony, with all your amenities available just a few steps away. In either case, the beauty of nature will be a special guest of you and your family and friends. And because we understand how important this day is to you, we never schedule another event that overlaps the time of your activities. It’s your big day, and we want to focus all of our attention on you. 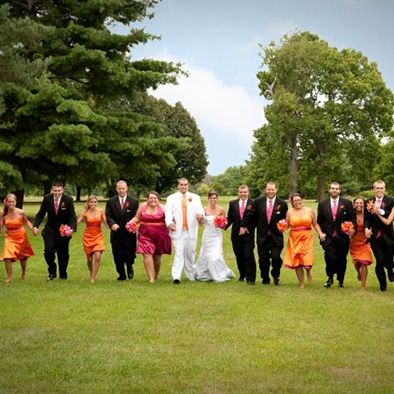 Go ahead, have the wedding you’ve been dreaming of! Let Schmidt’s Hospitality Concepts and the Reception House at Raymond Memorial help you make the happiest day of your life the most comfortable and satisfying one as well.